This weekend all around the country, countless fans will descend on their local multiplex to take in "The Last Jedi," the latest installment of the Star Wars saga. Aaron Rodgers, an admitted Star Wars devotee, likely won't be one of them. Although the Green Bay Packers quarterback told reporters he wore a Star Wars T-shirt to Lambeau Field on Wednesday, when asked if he would be seeing the new movie this week, Rodgers indicated he doubted he would have the time but hoped teammate Clay Matthews could set something up in the near future. "This week is a little busy," Rodgers said. "I'm hoping that Clay locks down a theater or something. He's done that in the past. "I was joking with a friend," Rodgers continued, "I actually had to go to 'work' today for the first time in a while. There's nothing better than spending the entire day in the mindset that you're going to play, and it's what's exciting about this week. So, I don't know if I'm going to have any time, but I am excited about it. I'm a big Star Wars fan." 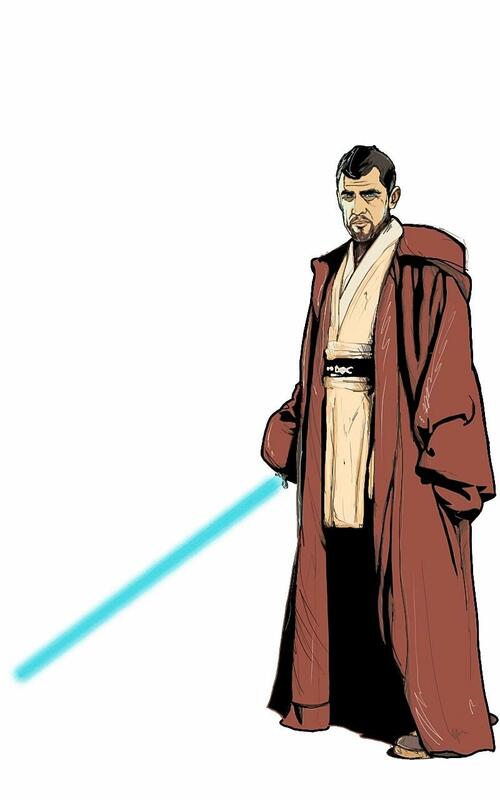 Of course, this isn't the first time Rodgers has shown off his love of Star Wars, having donned some Jedi robes for an Instagram post past year. 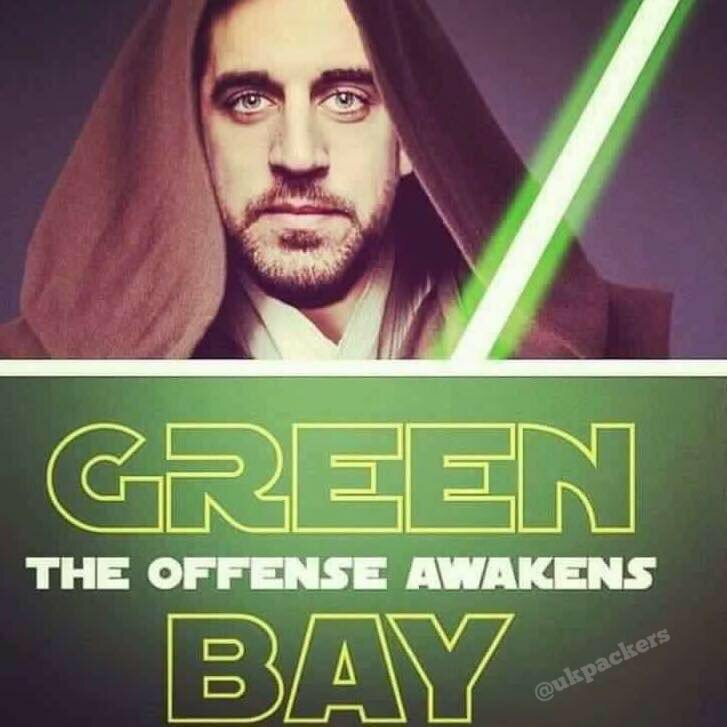 Rodgers' and the Packers' connection with Star Wars also has spilled over into the fan base, where all sorts of creative things have been done to link the franchise's signal caller with the epic space opera.